Carl Frampton and Scott Quigg will fight in Manchester on February 27, 2016, having signed the deal live on Sky Sports News HQCarl Frampton and Scott Quigg's much anticipated unification fight is on. The pair signed the contract for the long awaited showdown live on Sky Sports News HQ confirming they will fight in Manchester on Saturday, February 27, 2016. 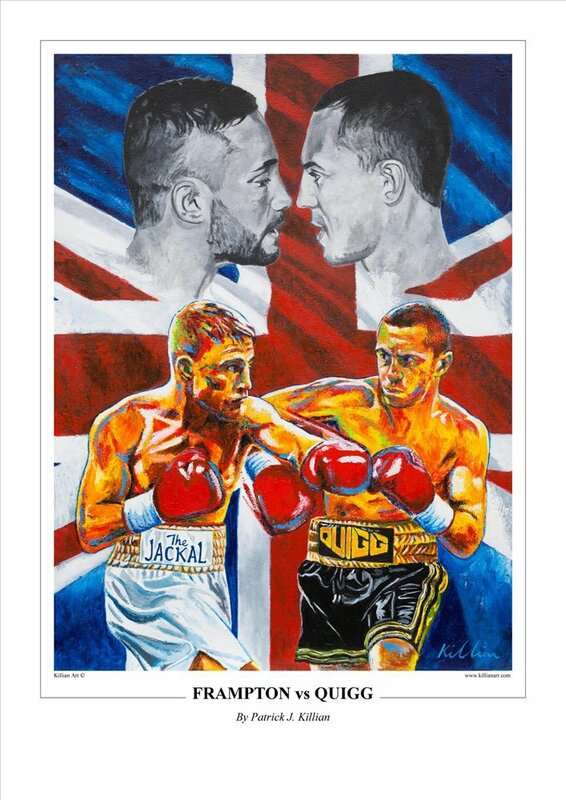 The fight will see Frampton (21-0-KO14) put his IBF super-bantamweight title on the line while Quigg (31-0-1-KO23) will defend his WBA world crown. It will take place at the Manchester Arena and both fighters will embark on a three-city UK press tour in the build-up. Monday's confirmation ends months of speculation and wrangling surrounding the super-bantamweight battle that will finally prove who is the best domestic fighter at 122lbs. This is a great fight for the sport and I'm delighted to bring it to Manchester and unify the division. Frampton has agreed to come to Bury-based Quigg's home town for the biggest night of his career to date, and he said: "I'm delighted that we have finally got this fight signed - the fight everyone has wanted for years, none more so than myself. "I'm the legitimate champion and I'm going to his backyard to defend my title because that's what champions do. On February 27 the fans will find out who the real champion is, I'm going to win this fight in style." Quigg said: "I've finally got the fight I've wanted for so long - February 27 will be the best night of my life. "I've dedicated my life to this sport and I have never been more confident going into a fight, I know I will beat him in every department. This is a great fight for the sport and I'm delighted to bring it to Manchester and unify the division." The fight has been made after months of negotiations between promoters Barry McGuigan and Eddie Hearn. McGuigan said: "It will be a momentous occasion for British and Irish boxing. This is the fight the fans have craved and the one we have wanted all along. The atmosphere will no doubt be electric, but there is only going to be one winner on February 27, Carl 'The Jackal' Frampton! "?